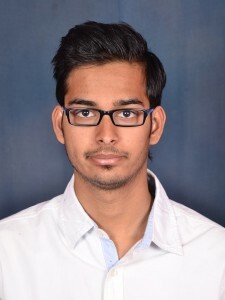 Aditya: Hi, My name is Aditya Tiwari. I want to be a successful software engineer and work for an organisation which will enhance my professional and personal skills. Aditya: I did face some problems but I tackled them with patience and confidence. 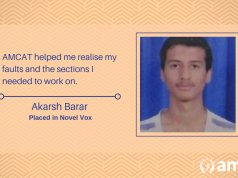 Aditya: It was a great experience with AMCAT and it really helped me a lot to get a job at Mphasis. 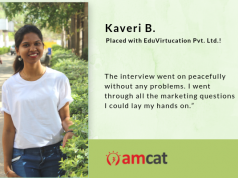 It was through AMCAT that I got an opportunity to be associated with a reputed software MNC. 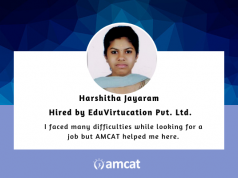 Aditya: Yes, anyone who is seeking for a job in a well renowned company must go for the AMCAT test .It provides a platform for everyone to showcase their skills and knowledge. Aditya: I would say that one should focus on his/her strong subject areas. Students have a perception that learning many programming languages would get them a software profile. But that is untrue. I think they should concentrate more upon building their concepts.